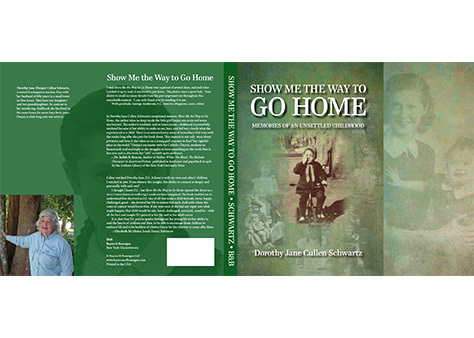 AUTHOR: DOROTHY JANE CULLEN SCHWARTZShow Me the Way to Go Home, is the memoir of a 1940s-1950s girlhood in the area around West Orange, New Jersey. Dependent on a pretty but feckless single mother, boarding with relatives and acquaintances, attending many different schools, Dorothy Jane survives sharing beds with not always happy relatives, a spell in a night-care home, playing poker in smoky rooms, and her mother`s raffish companions; recalling adored teachers with clarity. ABOUT THE..